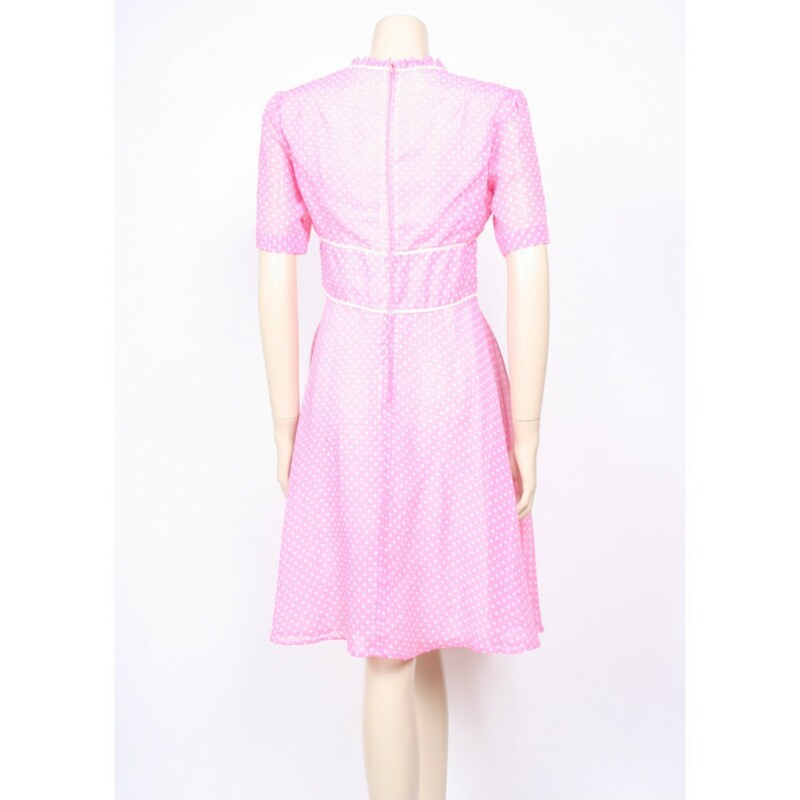 Adorable lil' 60's dress in candy pink cotton with white polkadots all over, perfect for work or play, team it with white tights for a true Twiggy look or add thick black tights and some Converse for a sweeet mixed-up look! 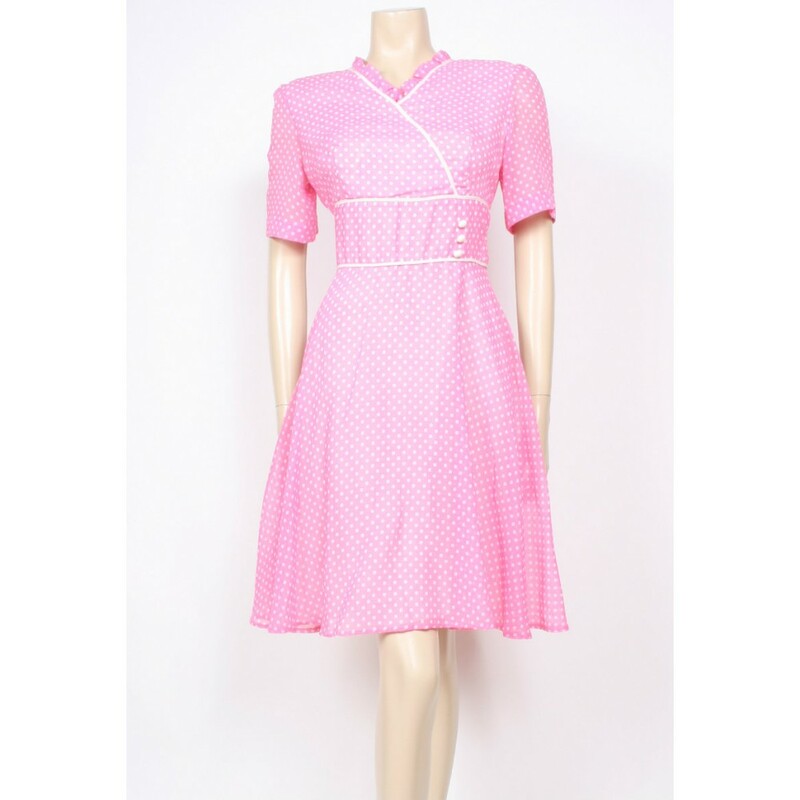 Lined, zip at the back, flared skirt, frilled neckline and button detail on the waist! Size UK 12; bust 36", waist 30", total length 37"